Welcome friends. Isn't this a Marvelous Monday? We have a warm sunny day out here in sunny southern California. I had a great week end. Friday afternoon I did a stamp camp for eight Japanese ladies at their church. When I arrived, a lady was there that I thought was going to be one of the guests. She was a reporter from a television network. As you know, that morning (my time) the earthquake and tsunami had hit Japan. I was still up at 1:00 AM and stayed up for another few hours watching and praying for the people as it occurred. These ladies stayed strong through the interview. The reporter stayed to video tape during their prayer time and continued to be strong. The transition to stamping went very smoothly. They were shy and quiet in the beginning. Soon they were feeling creative and really getting into the process of stamping. We all had a great time. Each of them left feeling happy and exclaiming, "Call me for the next time or I want to come to your house". I certainly will call them. 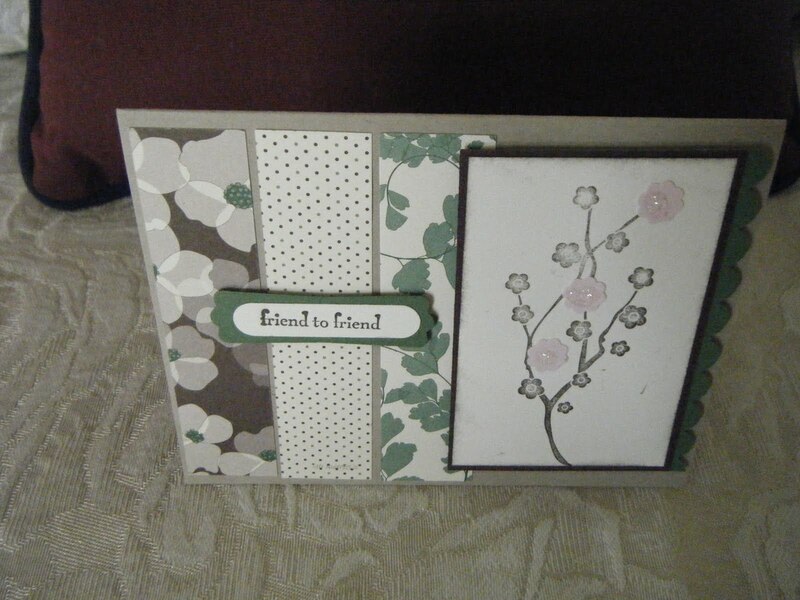 Today's card share is one of the cards they made. The shopping list is next. Thank you for visiting. I appreciate your comments. See you tomorrow. God bless you. 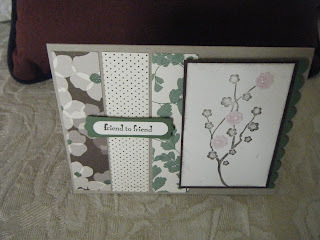 Beautiful card with the Eastern Blooms set. I'm glad your stamp camp went well. My prayers go out to everyone in Japan.